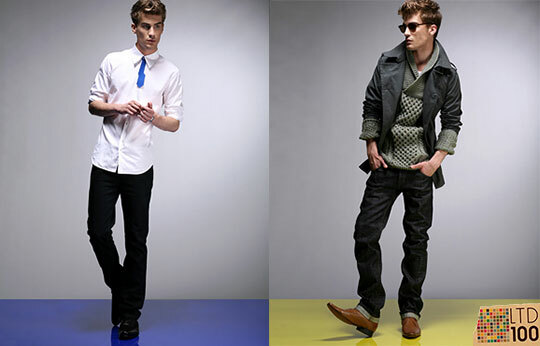 This college guy fashion tips section is for all the college guys out there who need help understanding how to dress to impress college girls. Includes tips on what to wear, what not to wear, and tips to impress college girls. Remember you only have a few seconds to make a first good impression, and the more frequently you dress appropriately, the better college girls with think of you. Most college girls are experts in fashion and can spot a fake purse a few hundred feet away, so why do college guys think they will never notice a dirty or wrinkled shirt? Wash your clothes – This may sound obvious, but you would be amazed how many college guys hardly ever do laundry, and wear the same clothes over and over without washing them. Iron your clothes – If your clothes need ironing, iron them! A college girl could see a wrinkled shirt and think to herself, well if he does not care or take care of himself, how could he take care of me? The appropriate dress will depend on where you are going, make sure you find out ahead of time and dress appropriately. In general, you don’t have to wear a suit an tie (weird) but it wouldn’t hurt to put on a nice button down (and button it) with a nice pair of jeans. When going out, dress up – At least make it look like you made an effort to look nice. This means a lot to girls because it shows you actually put effort into looking good for them. Match your colors – Clashing is when two similar colors do not match. Checking with another college girl first will help you with this. Make sure your belt matches your shoes, and DO NOT wear white socks with black or brown shoes. Wear Real Ties – Never wear a clip on tie, if you don’t know how to tie a tie, learn! Its good to know, and a clip-on will make you loose points with a female. The smell sense is very strong, especially in females. If you leave a shirt at a college girls house or dorm and she likes you, chances are she will smell it just to think about you. Girls sense of smell is very strong so it is very important you use deodorant and cologne appropriately. Deodorant is a MUST! It does not matter how much you think you do not smell, you must wear deodorant. If deodorant does not work, see your doctor and get a prescription. Wear cologne sparingly, especially if you have bad body odor. But use is sparingly (VERY LITTLE) make her have to come in close to notice your cologne.